Mercury Cougar was a Ford Motor Company standard for 35 years. It was first issued during the 1967 year. The Cougar started out competing with the muscle car era Mustangs and quickly transformed into a more luxury car style during the ’70s and ’80s. The Cougar is beloved worldwide and many of these vehicles are still in existence. Although Mercury has ceased automotive production, you’ll easily find Mercury Cougar engines in our warehouse ready for daily shipment. We support the Mercury car brand and continue to bring in the best used and rebuilt Cougar engines we can find. The Mercury Cougar went through eight generations of manufacturing. Ford always put plenty of money into the development and marketing end of the Cougar. The big V8 engines of the 1980s were replaced with 6-cylinder and 4-cylinder by the 2000s. The constant push on Ford to expand its fuel economy standards was evident with the newer Mercury engines. You don’t have to spend anymore of your precious time trying to get an engine deal online. We’re the hidden resource for many dealerships, mechanics and body shops that need dependable engines for the lowest price imaginable. We put a lot of our time into customer satisfaction here. We are a seller of used and rebuilt engines. Each style is different and is brought here to please a certain demographic of customer. We know that salvage yards and junkyards appreciate the used engine offerings and lower prices we have. Drivers searching for a replacement come here to find deals too. The rebuilt engines that are sold are sometimes used for dealerships or warranty center service operations. We understand that no two customers are alike. Each person that comes here has different requirements. One of the things we always give regardless of engine type is a warranty. We structure each engine warranty based on the platform, engine age and its overall condition in our inventory. The Mercury Cougar engine swaps that people perform are not complicated here. Since these are genuine Ford engines, a mechanic or installer will have no issues getting engines to fit just right. Some crate engine sellers or rebuilders do things to the block based on their internal changes. We sell direct to customers. Engines that show up for sale are then resold if they are not rebuilt. The 4-cylinder and 6-cylinder Cougar engines you’ll find here give you the OEM quality that Mercury is known for in the auto world. We please customers with our selection, quality and price here at www.carenginesforsale.com. Prices are not listed on our website since they are too low to print. You probably will never be told that elsewhere. 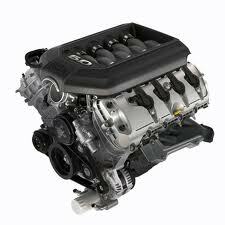 Engines sold on the Internet are usually too high in price. We lower the prices and give out quotes when you call 1-877-630-3873. Our online Mercury Cougar engine quote form is just as easy for you to use. It gives you our warranty information, pricing and how much shipping will cost for an engine to arrive at your doorstep.